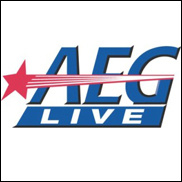 LOS ANGELES (CelebrityAccess) — Cinema advertising network National CineMedia has tapped AEG Live to be their music supplier, reaching moviegoers on-screen, on-site, online and on mobile devices. The deal kicked off in August with :10 and :20 second features starring international superstars Enrique Iglesias & Pitbull promoting their upcoming 24- city AEG Live-promoted North American concert tour, launching on September 12 at the Prudential Center in Newark, NJ. Each month, a new AEG Live-affiliated artist will be featured on nearly 20,000 cinema screens periodically throughout the year in music segments interspersed throughout NCM’s FirstLook preshow that will not only highlight upcoming concerts, but also new music releases, charitable initiatives, and other activities that the artists want to promote to NCM’s targeted audiences. Moviegoers will also be able to access AEG's live music offerings through their Shazam app, which allows users to identify music from letting their mobile device listen to samples. Users can then purchase concert tickets or music for the identified artist directly through the app.